Over a billion users use Facebook on a daily basis and the number will just continue to grow by the day. It doesn’t matter if you are a small business or entrepreneur, Facebook marketing can really take your business to a whole new level. From increasing visibility to getting more followers, Facebook can do wonders for you especially if you know exactly what you are doing. 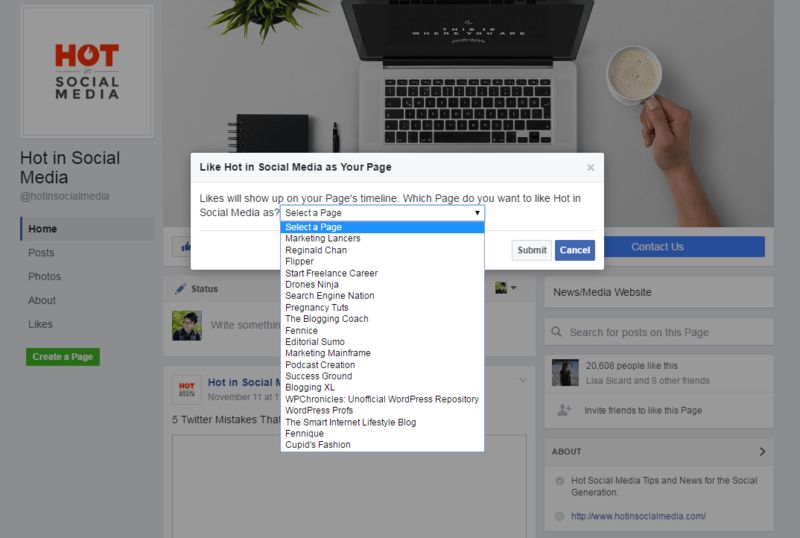 If you manage a Facebook page, you have the ability to ‘watch’ other similar Facebook pages, or pages which are directly competing with you. This is awesome because it gives you a pretty slick analytics of what you need to know (such as a detailed view of their posts) from the current week. Pretty awesome, don’t you think so? To activate this option, simply head over to your Facebook page and click on ‘Insights’. We often like other Facebook pages with our own Facebook account, right? Well, did you know that you can like another Facebook page through your own page? Liking another page with your own branded Facebook page is very much possible. To do so, head over to the another brand Facebook page and click on the ‘gear’ button. Lastly, select your Page from the drop-down button and click ‘save’. You are good to go then! This is my time saver. I love this feature because you can easily save an interesting post and read them at a later time. Yes, without using Pocket application like what I always do! 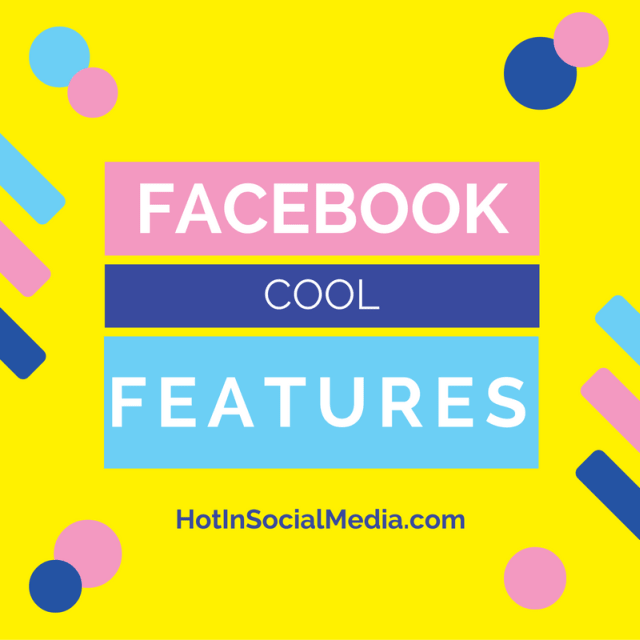 Yes, it is really simple and you will be surprised that this is one of the most unused features on Facebook itself! At this moment, there is no limit to how many articles you can save on Facebook, so get down to it and use it! You heard about this feature and probably went through it a few times. 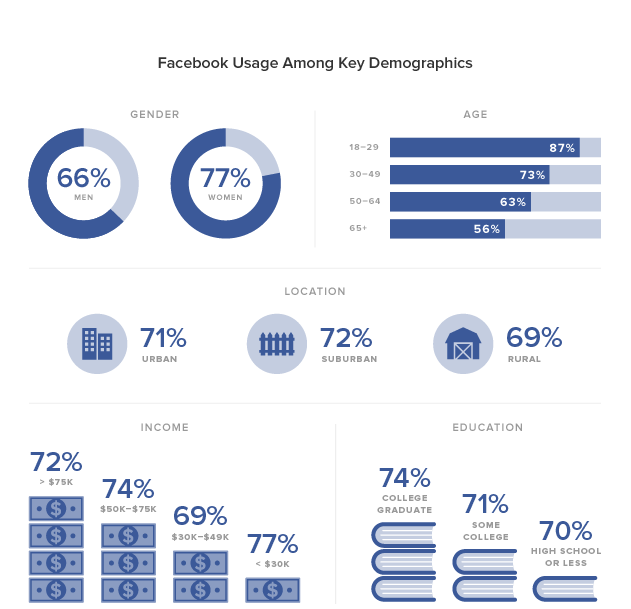 However, how many of you actually use Facebook Insights on a daily basis? If you are not, you should! Facebook Insights provides powerful information about your target audience so that you can easily create more content that resonates with them. Of course, it is an absolute no-brainer that when you deliver more relevant content to your followers, they will resonate with you and it will further improve your advertising dollars in a long run. As you can see, the information above can easily be created when you have the right data on hand. You can (of course), pay a higher cost by using paid third party agents to get such information or simply using Facebook Insights which is free of charge. You’ll be surprised that you may find interesting information which can easily create many opportunities. Do you notice the Published “Post-Search” option? In this part, you are able to find the results from your published posts. It is important because, with proper data, you will understand how the wording, images or even the combination of both effects the results in engagement. Was it some specific words you used? Could it be the engaging image you include in the post? Or, would it be the short quote you used? For brands who post a lot of same content throughout a calendar year, it helps to avoid publishing duplicate or poor performing Facebook posts. Conversion. If you are in the digital marketing agency, you will understand that Facebook Pixel is probably one of the must-use tools when it comes to Facebook marketing. But before that, what is Facebook pixel? So, how do you setup Facebook Pixel for your Facebook marketing needs? Paste the code between or in the header tag (if you have no idea what it is, it is the column between <header> and </header>. Alternatively, send the code over to your website developer and I’m sure they would be able to assist you. The entire task takes less than five minutes to complete. Facebook Pixel is powerful because it allows you to build custom audiences which you can retarget them for later use. It also allows you to track conversion which is vital when it comes to analyzing the strategies used. Have more/cool Facebook tips to share? Don’t be shy, let us know which Facebook cool features you love and if you have anything new to share! As Facebook is constantly changing and rolling out new updates, you may find some Facebook features not accessible. This is simply because some rollouts are strictly based on location and don’t worry if you can’t find it at the moment. An update usually takes a few months before being able to do it worldwide! See also: Facebook Advertising – How To Use It Effectively? Co-Founder of Marketing Lancers, Reginald helps small businesses and startups to leverage digital marketing for growth. During his free time, he writes at ReginaldChan.net.